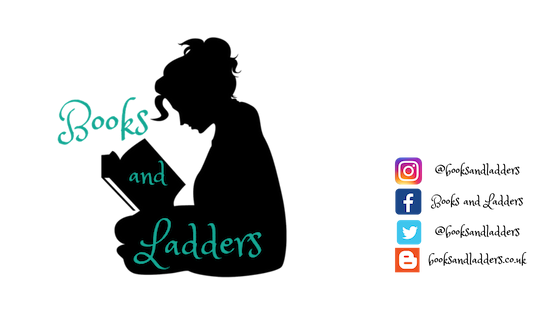 We Can(ada) Read: Jamie from Books and Ladders discussing Erin Bow! We Can(ada) Read is by Canadians for EVERYONE to learn more about some amazing Canadian authors! We have 16 Canadian bloggers highlighting 16 Canadian authors plus you can hear about what it's like to live in Canada and write CanLit from 8 Canadian authors, most of which are 2016 debuts! For a full schedule of events during We Can(ada) Read, please click HERE! Jamie is a Canadian book blogger who owns more books than she can fit in her room. She mostly reads YA but has a soft spot for all types Science Fiction and Fantasy, so she carries those around with her as well. Jamie typically reads while drinking tea, curled up in a little ball for maximum warmth. There is so much goodness in Erin Bow's writing. I don't think I can fully explain to you why I enjoyed THE SCORPION RULES other than by saying there are Canadian Princesses, healthy bisexual representation, and goats. Oh my gosh, the goats! THE SCORPION RULES has the right mix of smart, edgy science fiction mixed with politics and real life conflict. It is so wonderful to see kids in a crappy situation doing their best to still be kids, but also realizing that their actions have consequences. Erin Bow has really hit the head on the nail with this one and I cannot wait to see what she has in store for THE SWAN RIDERS. I think it will be an excellent companion to THE SCORPION RULES (and we only have to wait 5 more days for it to release!) and really expand upon the world that Bow has created to make something really special. I have found that Erin Bow's prose is a masterpiece. She can create a world in your imagination without taking you out of the story. You feel as though you are walking around with the characters as a shadow in the background rather than reading from afar. She is an expert at taking what we think we know and flipping it on its head so we aren't sure which way is up anymore. If you haven't picked up THE SCORPION RULES, you should do so immediately. I have heard wonderful things about Erin's debut PLAIN KATE, so you should pick that one up too! And honestly, you should start calling me Princess of the Pan Polar Confederacy. Just saying. Hi! 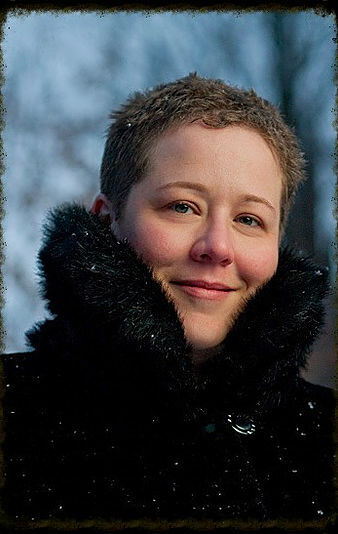 My name is Erin Bow -- physicist turned poet turned author of young adult novels that will make you cry on the bus. I'm a white girl, forty-something, feminist, geeky enough to do the Vulcan salute with both hands -- in public. I live in Canada. I love to cook, hate to clean, and yes, I do own a cat. I just finished reading The Swan Riders and it was just as good as the first. I find I get confused easily in those books though haha! I'm glad you like her!